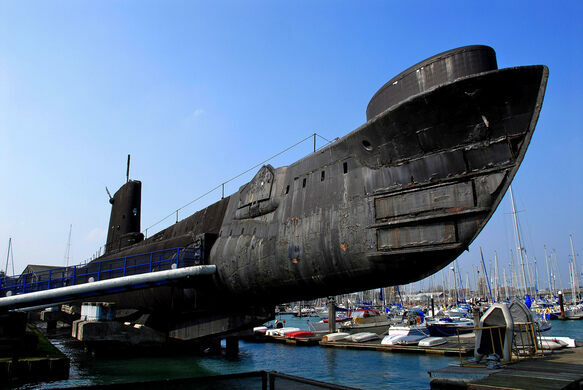 Originally launched in 1945 the massive HMS Alliance served until 1981 when it was scuttled and made into a museum ship, but slowly rusted away, becoming home to over 100 pigeons. 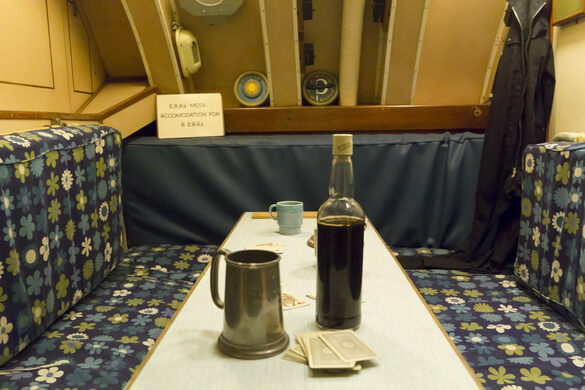 But recently the historic vessel has been fully restored and is now open for tours. The Alliance is a monster of a ship at almost 300 feet long and originally armed with 10 torpedo tubes, mines, and external guns. The massive vessel was designed for service in the distant East where the longer trips and times at sea necessitated a bit more comfort in addition to larger weapons and supply needs for the crew. Despite being a formidably large ship, it was launched near the end of the war when the main task of submarines had shifted to reconnaissance and hunting other subs. Despite the lighter combat role, the ship did break records by staying submerged for as long as thirty days. The Alliance took part in a number of missions, but was relatively quickly turned into a memorial to those mariners who perished in the war, and eventually evolved into the massive, suspended museum it is today. Despite its size and grandeur the vessel fell into disrepair over the decades, with an alarming number birds taking roost in the ship’s hull, their feces slowly corroding the metal, and the salt water lapping beneath the ship also took its toll, rusting and rotting the bottom of the ship. In 2013 the submarine was finally closed for renovations. However The Alliance was refurbished to almost factory standard and has been reopened to visitors, offering a completely updated experience. 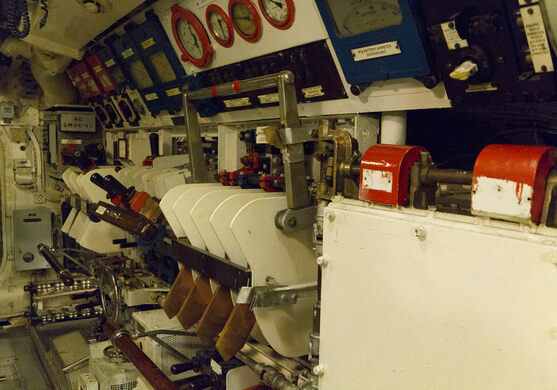 Guests can now stroll the tight halls as though they are the first seamen to board and learn about submarine history first hand. This striking observation tower shaped like a spinnaker sail is the newest icon in historic Portsmouth.